7th Stage of World Cup – International draughts-64 competition memory S. Kashaev was held from 19 September (arrival day) to 25 September in Evpatoria, Ukraine. 36 players from 7 countries participated. 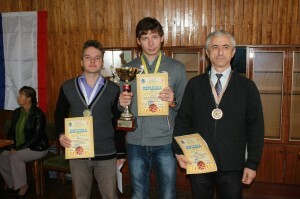 International Grandmasters Sergey Belosheyev from Ukraine took 1st place, Dmitry Tsinman from Russia took 2nd place and Ion Dosca from Moldova took 3rd place. See results. 7th Stage of World Cup – International draughts-64 competition memory S. Kashaev was held from 19 September (arrival day) to 25 September in Evpatoria, Ukraine. 36 players from 7 countries participated. 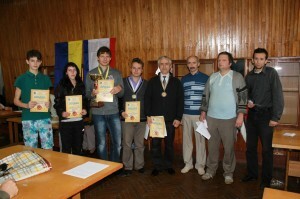 The FMJD Section-64 – IDF in accordance with the calendar of the FMJD Section-64-IDF competitions in 2013 holds 7th Stage of World Cup – International draughts-64 competition memory S. Kashaev. 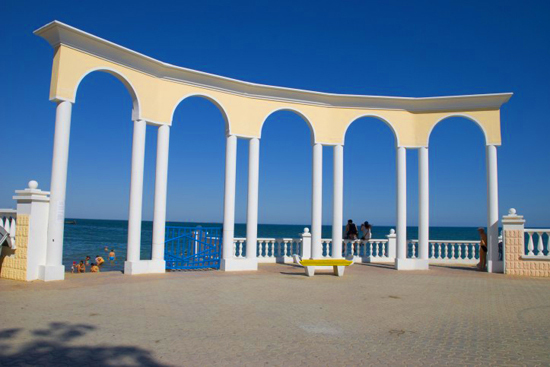 All participants are allowed to participate in competitions, regardless of gender, age and rating, with sports category at least “candidate of master” who timely filed application to Draughts and Chess Federation of Crimea. The number of participants representing the country is not limited.